I have not been in Paris for a while since I was traveling the whole summer, and I should admit that I’ve missed this city a lot. I, finally, had a great opportunity to come back to my beloved city in autumn for a project for Cartier. Autumn in Paris is really special. First of all, because a lot of tourists have already left the city and turned back to work, and in addition, the weather is still whispering me to wander in Parisian streets looking for new secret places to visit. Yeah, I easily could call this city my second home. That’s why I always can’t wait to go to my favorite places. 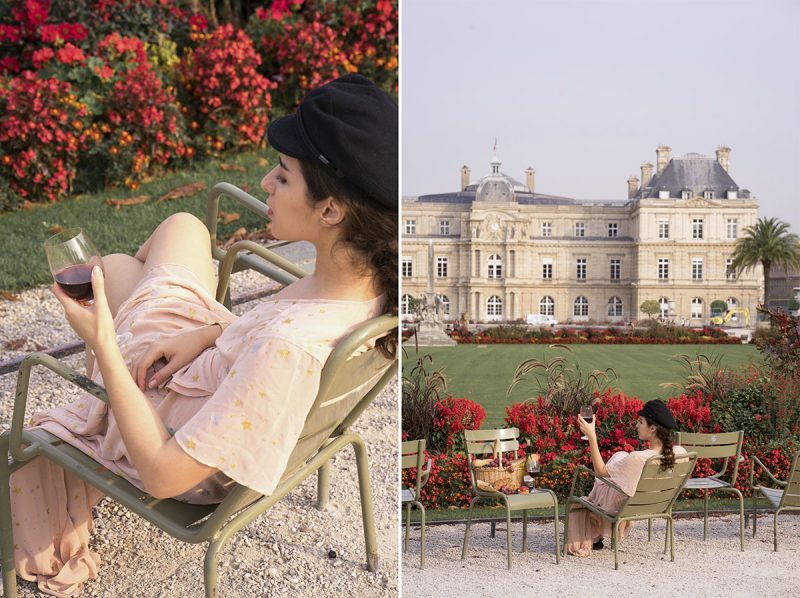 What could be more perfect than a small picnic with fresh croissants, colorful macaroons and sweet grapes in Luxembourg garden, especially when you are wearing flirty dress from Privacy Please? 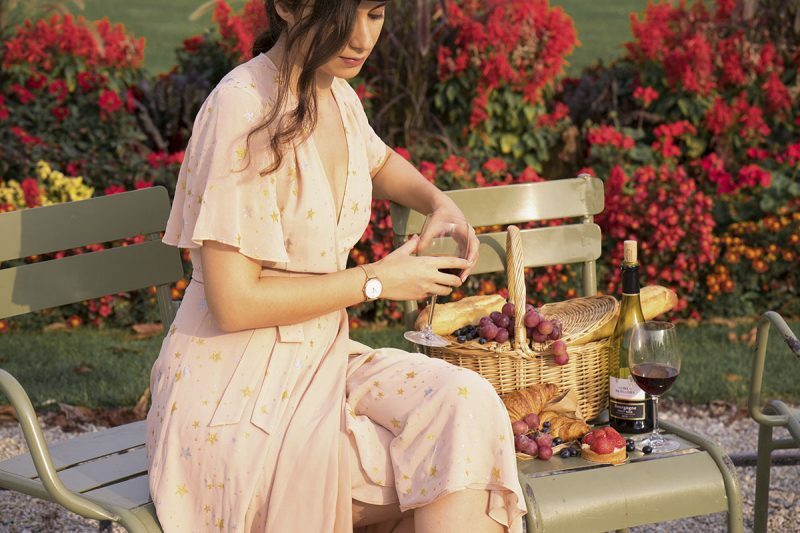 You all know that I could not imagine my life without all these picnic set-ups because it is always a moment to remember when you have a small pause during the day and you want to share this peaceful moment with someone really special. So, now I would like to share with you my personal secrets and tell you how to organize the best picnic ever. 1. It’s all in details. You have to think about accessories which would look good on photos such as books, beautiful postcards, ribbons, bags, hats. Don’t forget to bring any props you can have at home like picnic basket and nice crockery. For example, wooden cheese board or a gingham wipes and tablecloth would look particularly photogenic on pictures. Of course, think about cozy blanket in bright or pastel colors to sit on, it will look much more flattering in contrast with your food than any dark colors. Oh, yes, France is the capital of winery, so, don’t forget your wine opener! 2. Check the location in advance. It is better to look up on Internet or use a geotag on Instagram to see where you would like to go to have a killing view on a photo. Spot it on offline maps (for example on MapsMe app) and you will never get lost. Make sure to check in advance the opening hours of the place (if it is a public park) and whether it is authorized to walk and sit on the grass! 3. Buy the food in local market. In Paris there are a lot of food stores in the city center such as Monoprix, Franprix, Carrefour and Casino that is the best and cheapest choice for food and beverages. But you can also shop in local stores to have more authentic products, like for example, pastry and bread at boulangeries or a bunch of flowers from florist. They usually provide better quality products that are more good-looking but, surely, more expensive. I also advise you to buy wine glasses, at least plastic ones if you are in Paris for travel, so you don’t have top bring them back. 4. Think about the sunlight. Sunlight is extremely important for good pictures. It is better to choose the first part of a day or even a sunset when the sky has a pink tint. Morning picnic will have also an advantage of lower crowds. Choose the romantic dress on Revolve and order it right to your hotel room that will save your time for inspiring promenades with long and sincere talks. Moreover, Revolve has an express shipping that can be very handy for an unplanned shooting. I am really obsessed with this Privacy Please’s dress which I ordered couple days before my trip to Paris on Revolve and it was waiting for me in Paris. So, I got it on time and I was not preoccupied that my luggage could be too heavy. 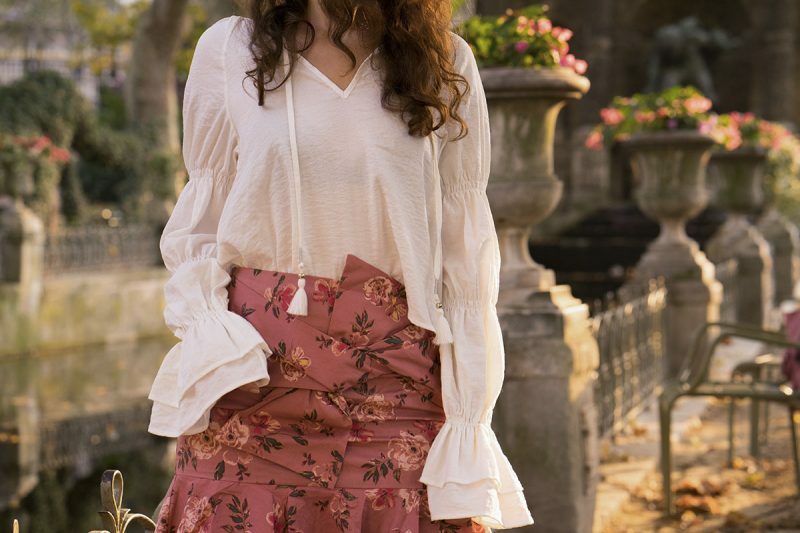 I also could not resist and ordered white top by Tularosa and pink skirt by Lovers+Friends. And of course, be prepared. Your picnic will increase the interest of the others and people may ask for a picture. Because if you follow all my tips you will get unforgettable set-up, and live one of the best romantic moments in Paris! Katie! You are evolving so fast!!!! I adore you! You are my inspiration! I would never think that making a picnic could such an art. Preparing for it, and making beautiful shots… it’s majestic! I love these looks and how they’re all so feminine and flirty! What a stunning post! Taking these tips for my upcoming trip! Love your photos ! What kind of camera you use ? Aw such a beautiful post! I appreciate the effort that you go to, to create beautiful things. Its wonderful that you share the behind the scenes to help others who want to do things beautifully. I also go on street view maps in advance to look at the location so as to not waste time! Pretty nice post. I just stumbled upon your weblog and wanted to say that I’ve really enjoyed browsing your blog posts. After all Ill be subscribing to your feed and I hope you write again very soon! Wonderful, what a weblog it is! 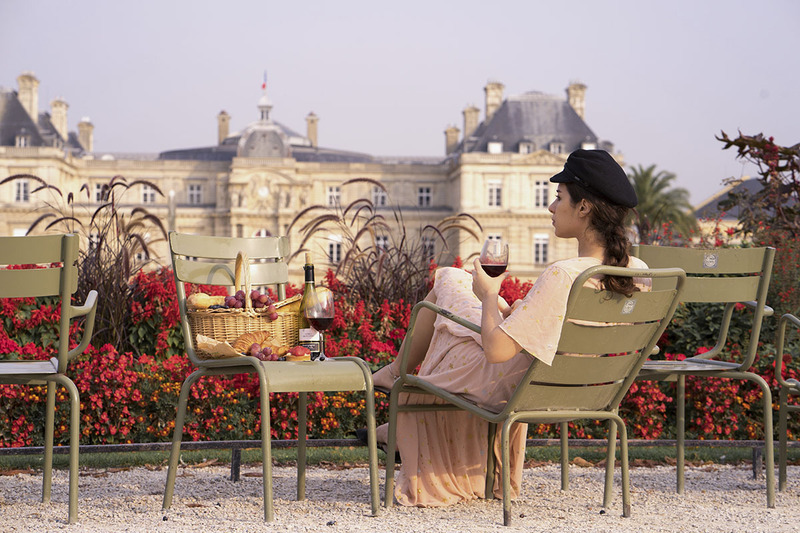 Can’t wait for the spring and picnics in Paris! Can’t wait for the spring! Amazing! Thank you for your tips! 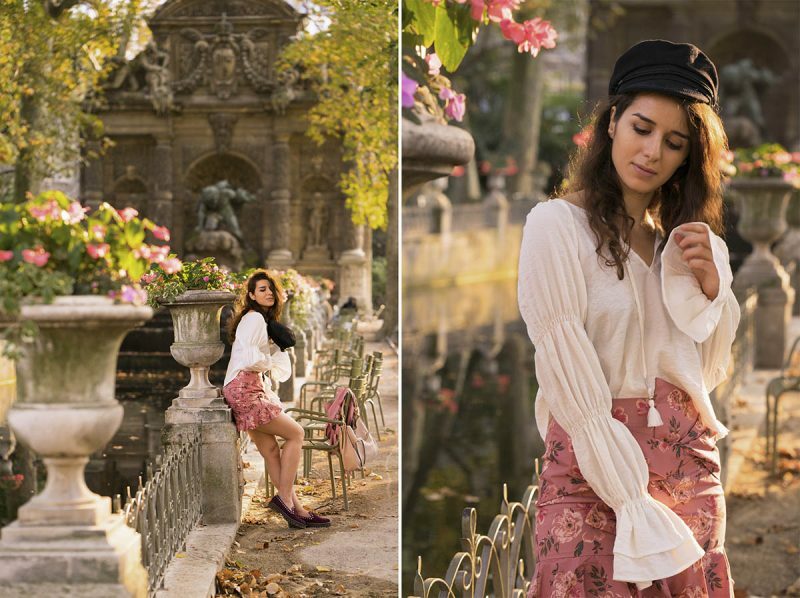 You always have the dreamiest shots of Paris! Thanks for the guide. Thank you, dear! I hope that you will like it! Such a cute guide! Thank you, I can’t wait to be in Paris because of your pictures! Thanks, I’ve recently been looking for info about this subject for a long time and yours is the greatest I’ve discovered so far. Thank you! 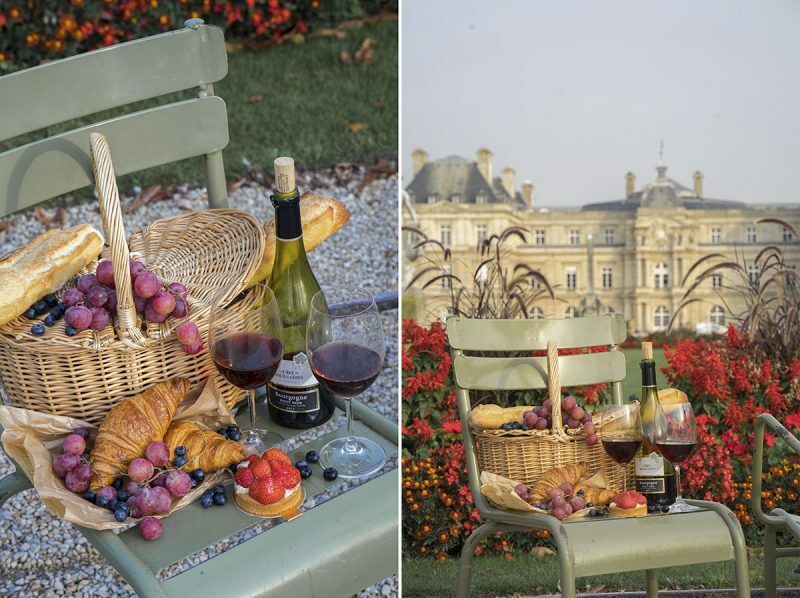 I can’t wait for summer and our trip to Paris, so we can picnic like true Parisians!! !